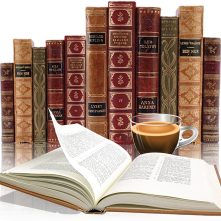 Just One More Chapter : 3rd Blogaversary!! Giveaway time! That's right JustOneMoreChapter has been up and about for 3 years now and I would like to say thank you all for your support and encouragement over the years. What better way to celebrate then with a free book. Yup that's right, if you live anywhere that The Book Depository delivers to then you got a chance. 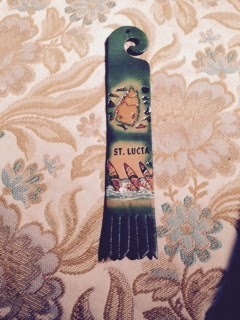 On top of that I just got back from a beautiful vacation down south and picked up this lovely bookmark from St. Lucia (one of my very favorite islands, think Pirates and Jack Sparrow = St. Lucia). happy blogoversary and thank you so much for sharing with us! Congrats on your 3-year Blogaversary. Wishing you many more! I found your blog through an email from HFVBT about DM Platt's Close to the Sun. Happy Blogoversary!! Three years is wonderful, but I never found you until now. Found your blog on The France Book Tours Post. Love the brown. Going to look around. Happy to meet you Elizabeth, glad you found me :). I am hopping over to check out your blog now. How are you liking After The War Is Over? It was only and OK read for me. I actually enjoyed it, I listened to the audio version and there are times I sometimes wonder if I would have enjoyed the print as much. Thanks for sharing in your Blogoversary. Congrats on 3 years. Beautifuk bookmark. I'm a new follower ,found you over from France Book Tours. Congratulations! I am new to your blog, but am enjoying it! Happy 3rd Blogoversary! Thanks for having a giveaway to celebrate.